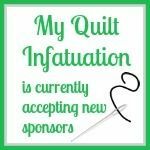 Welcome to another Needle and Thread Thursday, y'all! 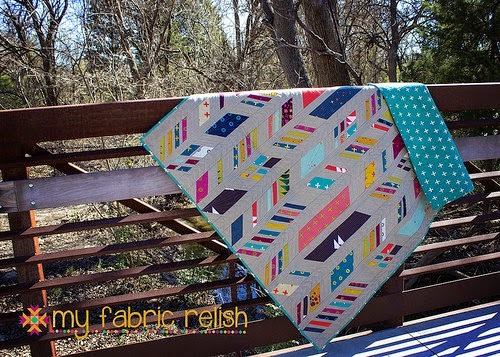 I'm excited to let you know that I finished up my Baubles quilt pattern and it is now for sale in my Craftsy and Etsy shops! I wrote the pattern for both the horizontal and vertical layouts, and for three different sizes. 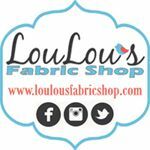 I hope you'll check it out! My, oh my! Last week's party was full of eye candy! 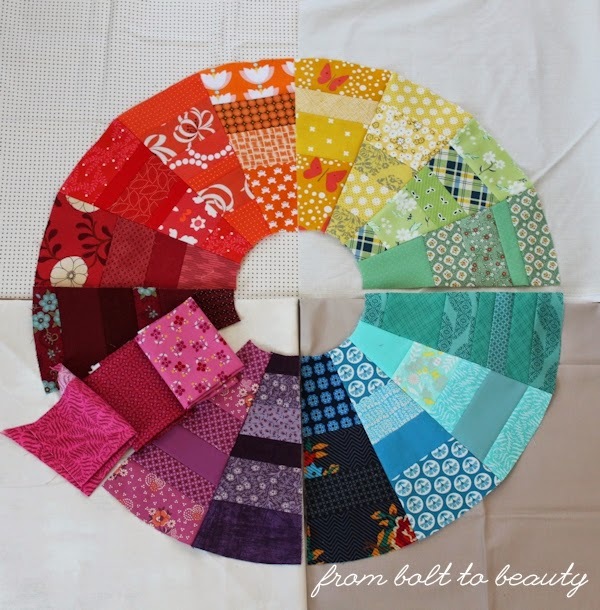 This scrappy color wheel block by From Bolt to Beauty is simply fantastic. I will surely be on the lookout for more of these gems. 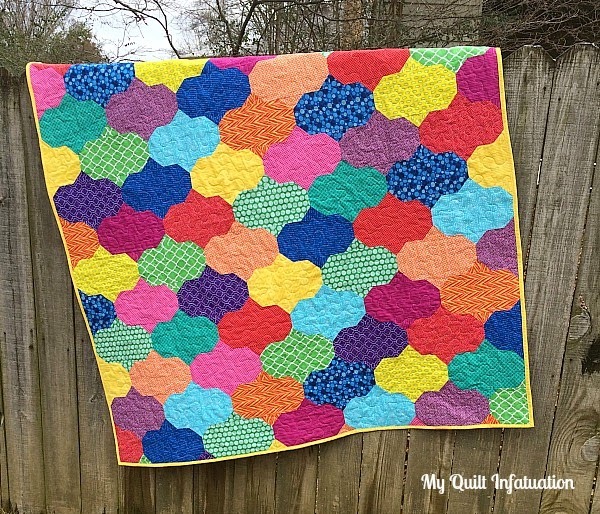 This quilt by Sunshine Through the Rain is a beauty. What a great photo! 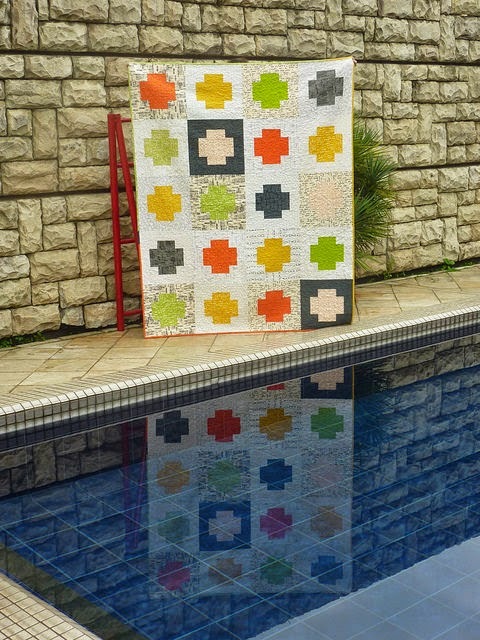 and if you missed this Cuzco Crossroads quilt by Measuring Success, you have to check it out! So, let's get down to business. 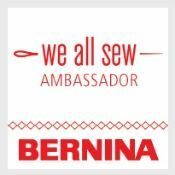 Time to link up what's been going on in your sewing space! Hooray for snow days! Well, ice days in my case. Although we had school on Thursday, we were out again Friday, and today. My parents visited this weekend, so I just finished my Baubles quilt this morning. I decided to make the baubles horizontal, rather than vertical. I think they look like old fashioned glass ornaments this way. 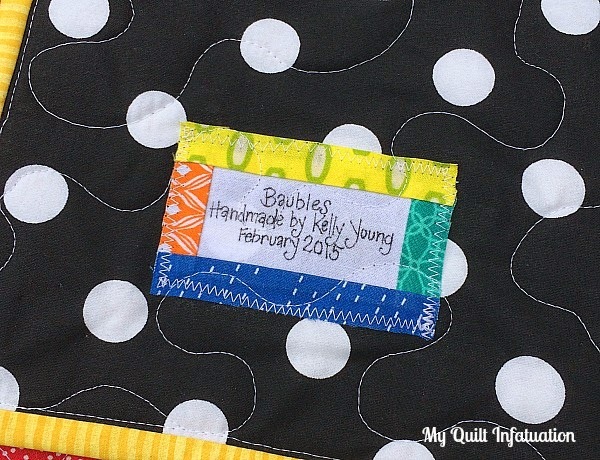 Since the quilt is a square, the decision really only affected the placement of the quilt label. 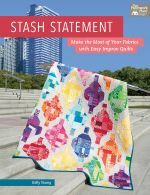 The pattern for this one is in the works, and on larger, rectangular quilts it will matter. So, I'm planning to write the pattern for either layout. It was so much fun to work with such bright colors during the doldrums of winter, and the large black and white polkadots on the back are the perfect punch against those vibrant hues. I love the bright yellow binding on this one, and this photo gives a good close-up of it. I think that striped bindings are the bomb! Anytime I have the opportunity to use a stripe on a binding, I'm all for it. 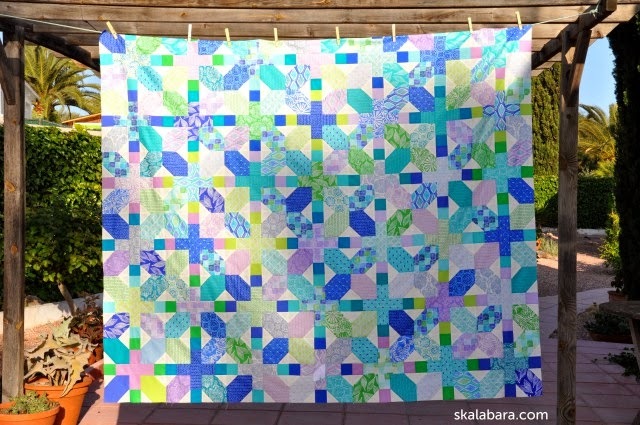 I really loved designing and making this quilt. I am still a curve chicken, so I like patterns that trick the eye into believing that there are curves involved when there really aren't. The plan for the rest of my ice day is to finish this pattern, so be on the lookout for it soon! This is my new pattern. I'm calling it Baubles, and I honestly can't decide which direction I like the blocks best. What do you think? I can't wait to get it written up! 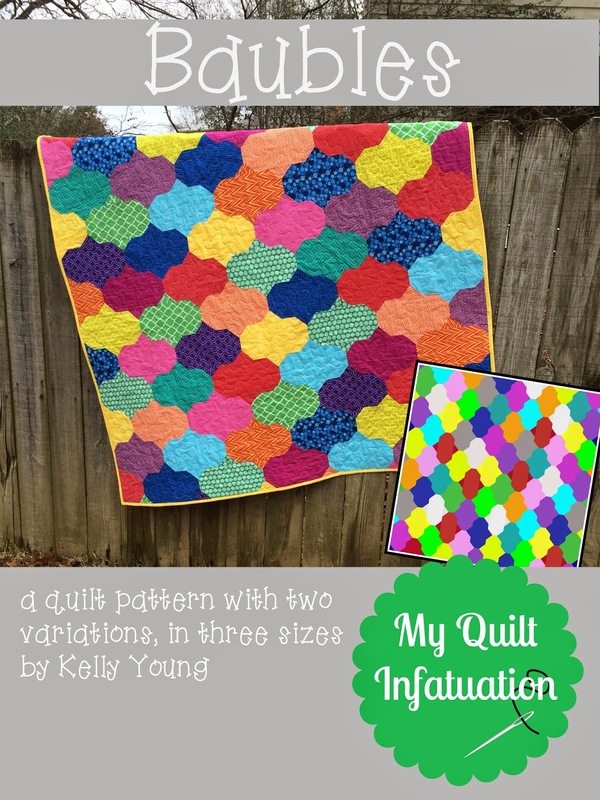 Of course, for a square throw quilt it doesn't really matter, but it will for bigger sizes. Even though we're not expecting anymore frozen precipitation tonight, the temperature is supposed to drop to four degrees, with wind chills well below zero. Brrrrr....!! Here in the south, most people just don't have the outerwear to deal with temps that cold, so it is possible (though not very likely) that we will get another day off. My parents are visiting this weekend, so it would be fantastic to be able to finish this one tomorrow. I'm really crossing my fingers! 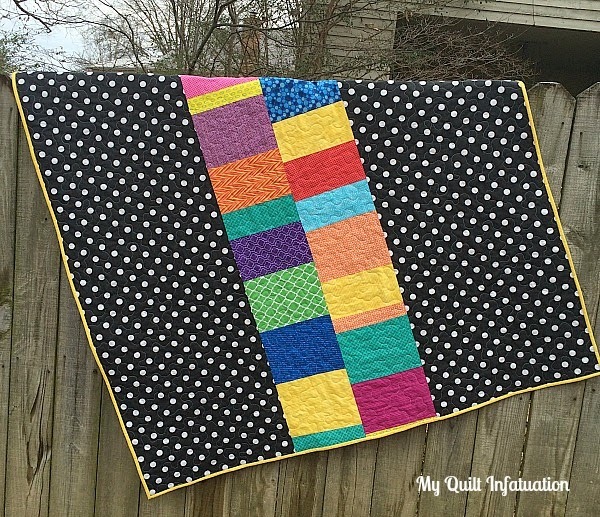 Sew Sunshine linked up her finished Supernova Friendship Swap quilt. I have loved seeing all of these blocks throughout the web. Porch Swing Quilts showed off her Sunkissed granny square quilt. 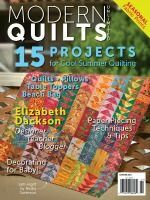 I love how the quilting makes the grannies look like petals, and the sunshine in the photo shows it off perfectly! 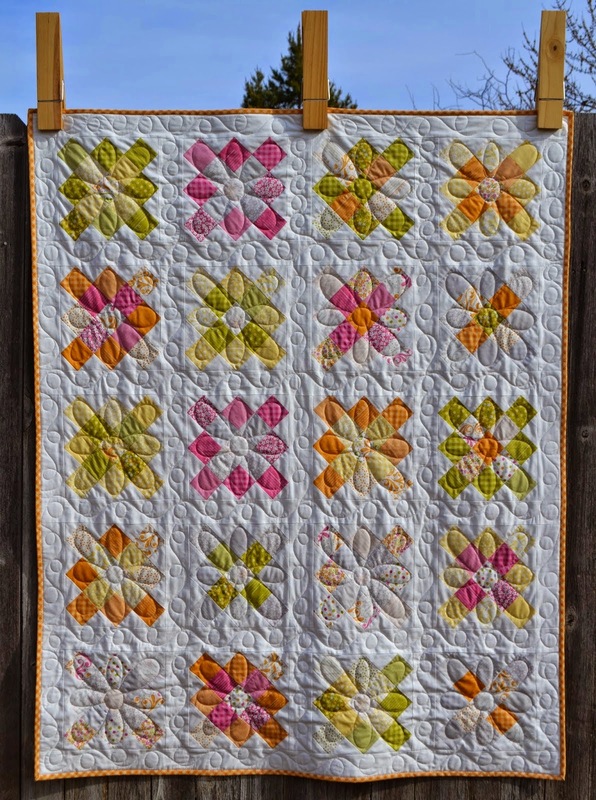 and Tanya Quilts in CO shared her Preppy Patches and Pinwheels quilt. What fun, happy colors! Surely I'm not the only one who's been getting some great sewing time while hunkering down inside. I can't wait to see what you've been working on! Oops! I've been walking around thinking it's Tuesday today. It has just been one of those weeks! The good news is that we're one day closer to Friday than I realized. 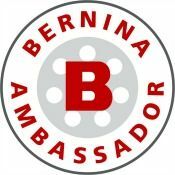 On the downside, my post is a little late! I know that NTT stands for Needle and Thread Thursday, so late Wednesday evening does not technically make this post late, but it has caught me off guard and is therefore later than usual. 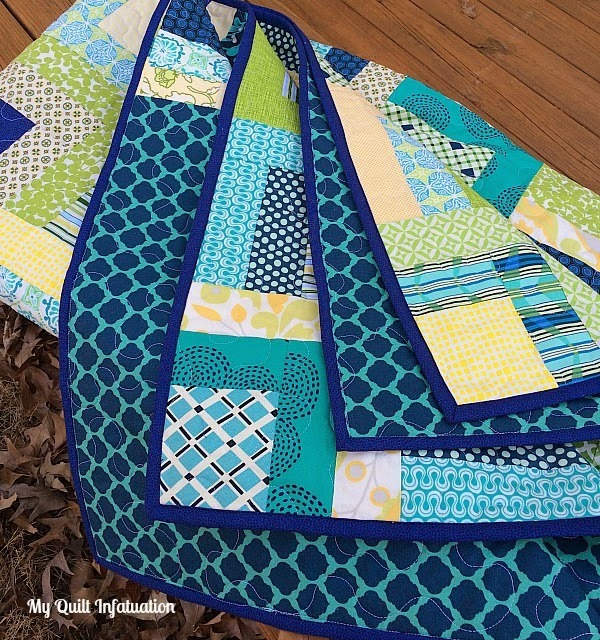 If you missed it, yesterday I posted my finished Fresh Stacks quilt (I did have to check to be sure it was yesterday...again, one of those weeks...), so I don't have anything new to share just yet. So, let's jump right into last week's highlights, shall we? 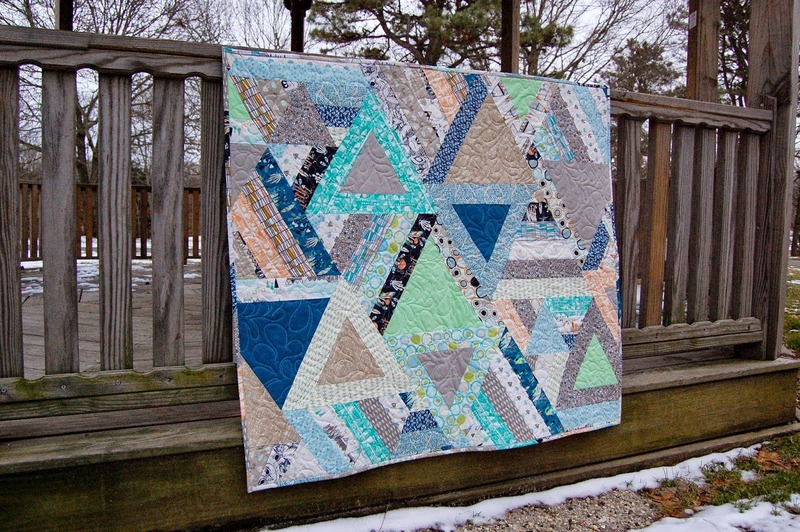 Barbora @ Skalabara linked up this gorgeous Horizon X+ quilt. What a great color palette! 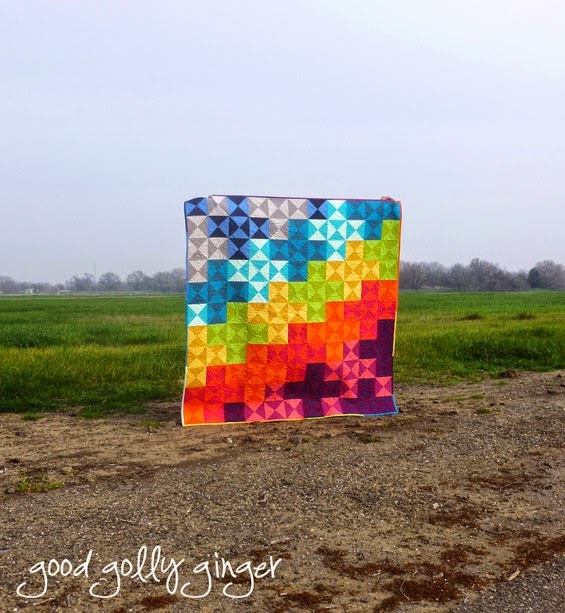 Katie @ Good Golly Ginger's Shattered Plus quilt is ahh-mazing! and this Broken Herringbone from Janet @ Simply Pieced is just fantastic! I love the quaint photo. I finished my Fresh Stacks quilt on Saturday evening, just in time for my quilt guild meeting on Sunday, and I love how it turned out! When I posted the photo of the finished top, a reader pointed out all of the different designers represented. 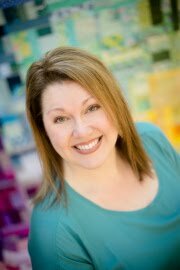 Amy Butler, Heather Bailey, Pat Bravo, Denyse Schmidt, Kate Spain are all there, plus some. 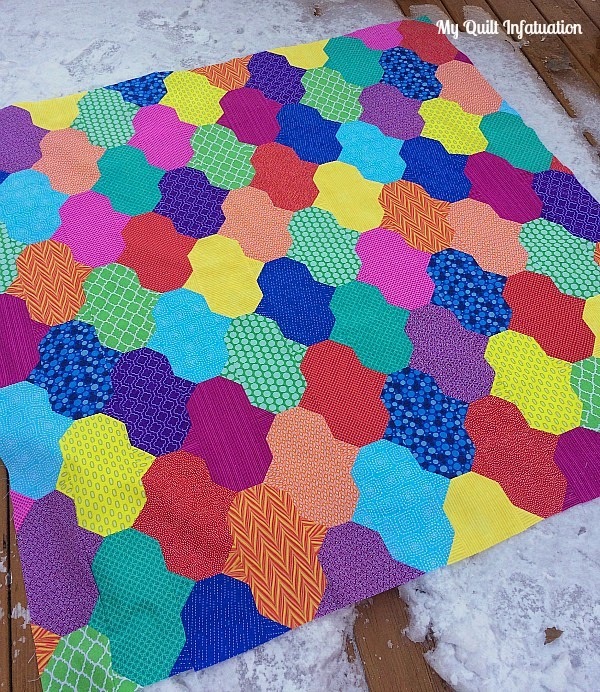 I didn't even consider that when I pulled the fabrics for this quilt, but I think the way they all play together is lots of fun! 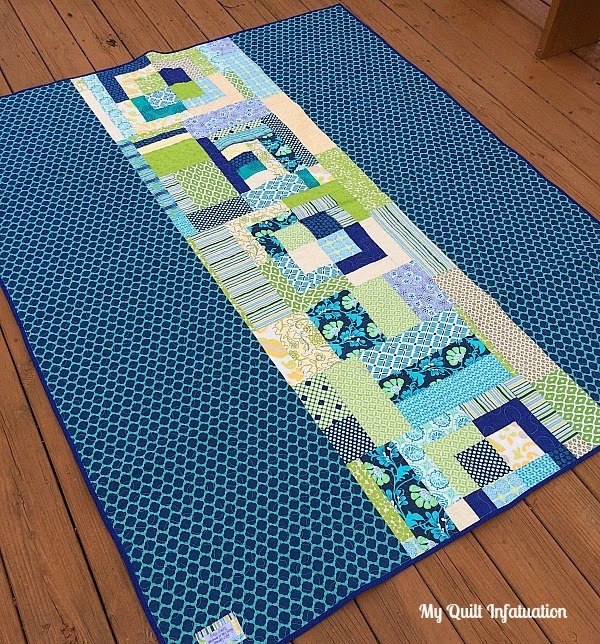 I used up all of the scraps on the back and found this navy and teal tile print for the backing. I love how the darker fabric makes the apple green and yellow pop. Blues and greens are some of my favorite colors to work with, so I really enjoyed making this one. 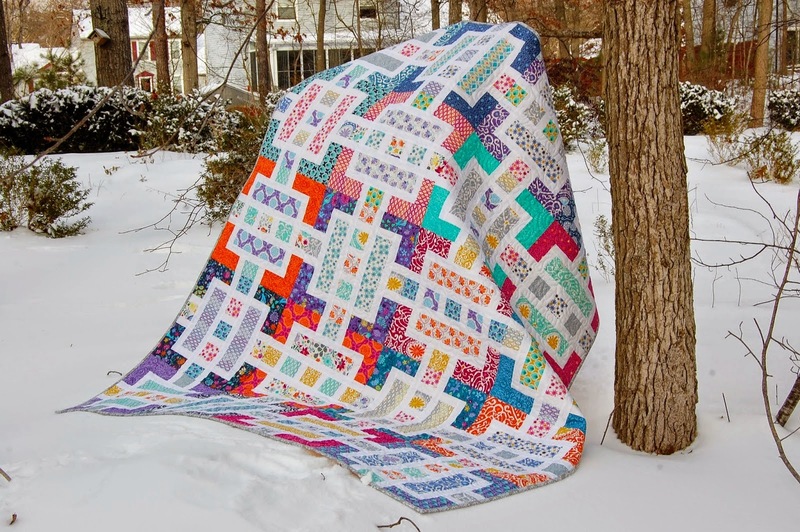 This quilt measures 64 x 80" so it's either a really large throw, or a small twin size. 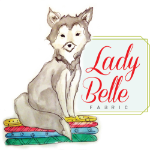 I have my fabric pulled, and a plan all sketched out for my next quilt and pattern, and I can't wait to get started! Happy almost Friday, friends! I love that by the time I post NTT each week, we are firmly on the downhill side of the week. 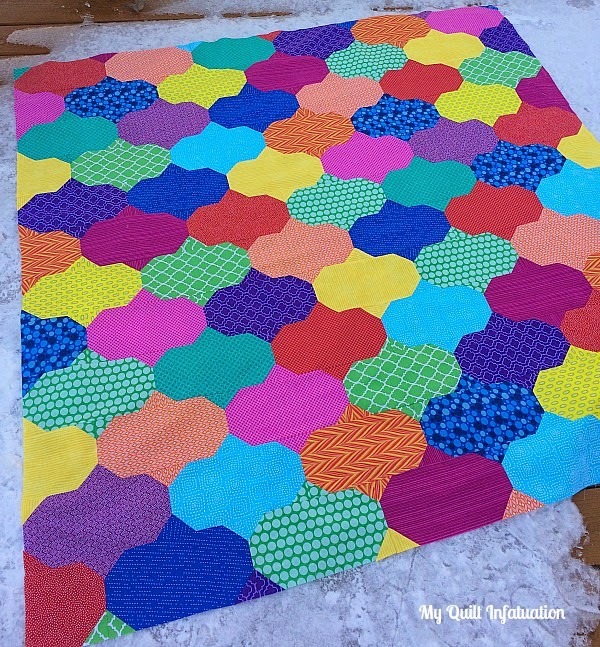 Although I have made some progress on the backing for my Fresh Stacks quilt, it isn't finished yet, so I don't really have any progress photos to show you. Our February MQG meeting is on Sunday, and I would really love to finish this one before then, but I just don't know whether that's going to happen. Scrappy backings are awesome, but certainly more time consuming. So, onto last week's features then! It is so tough to pick just three. 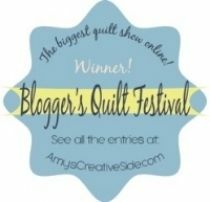 This feather quilt from Melissa at My Fabric Relish is SO amazing! 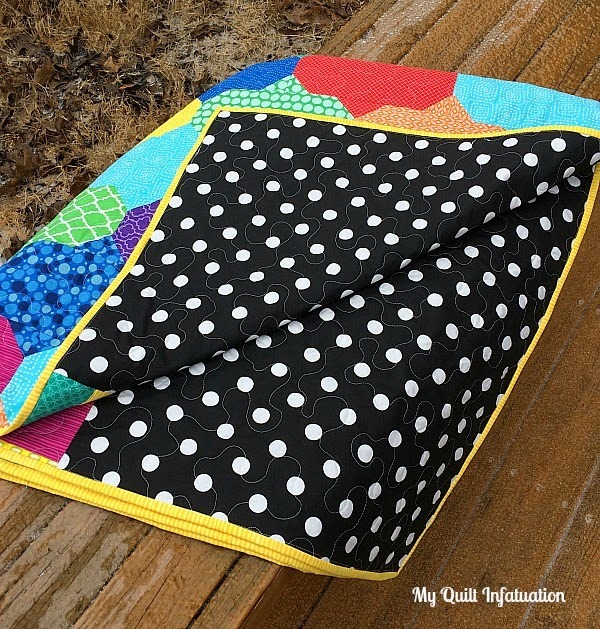 Julie at Pink Doxies showed off her colorful Jelly Beans and Chocolate quilt. Love it! 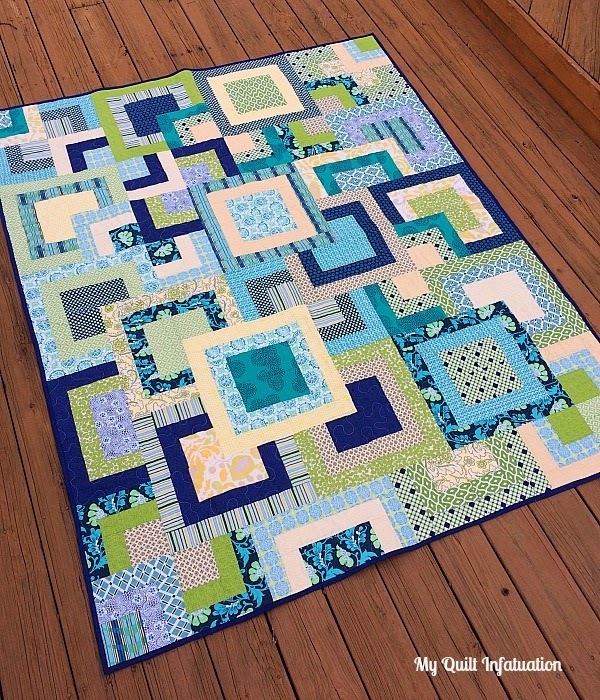 and this quilt from Jessie at Measuring Success is super cool. What a great palette and pattern! Y'all really knock my socks off each and every week! I can't wait to see what you're working on this week. Let's party!